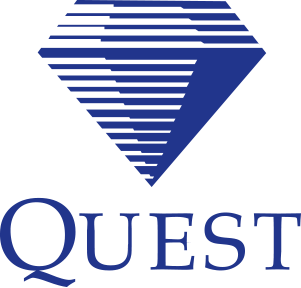 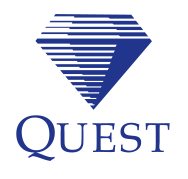 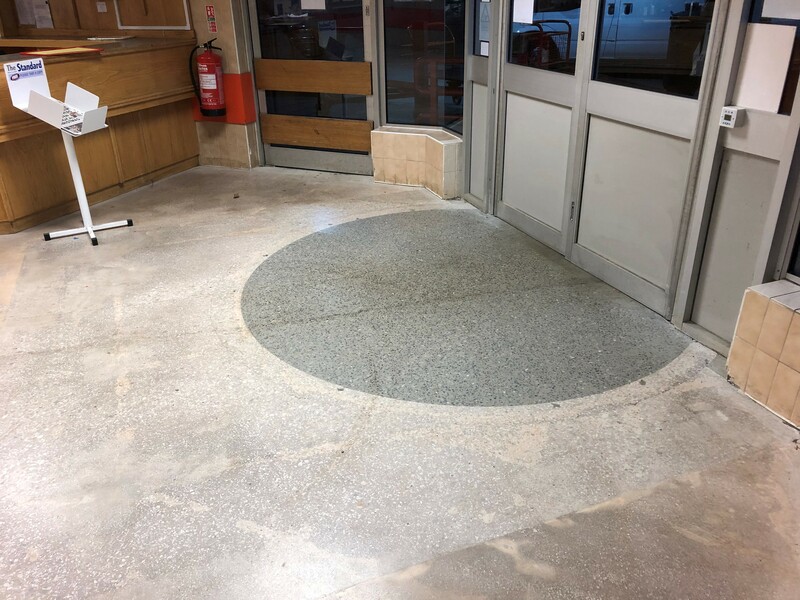 Quest was contacted by a nationwide Cash& Carry company to refurbish their tired reception floor. 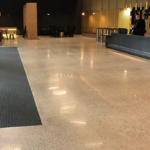 Following a site survey, it was recommended to remove the vinyl tiles and grind/polish the underlying concrete substrate. 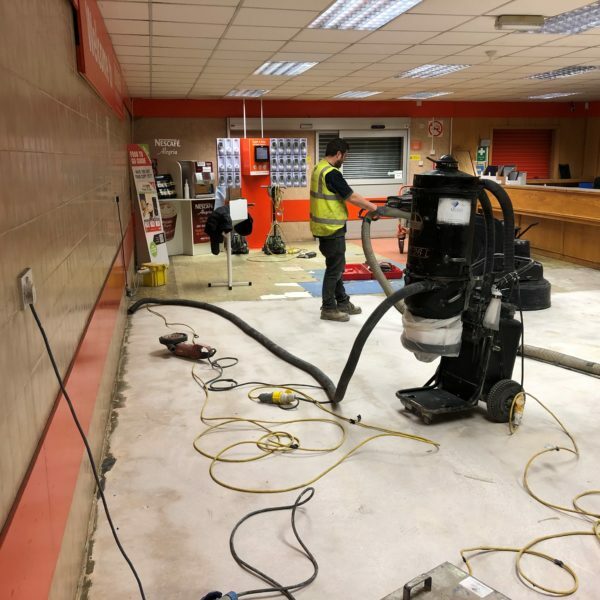 The works were programmed to commence on nights to meet daily trading hours. 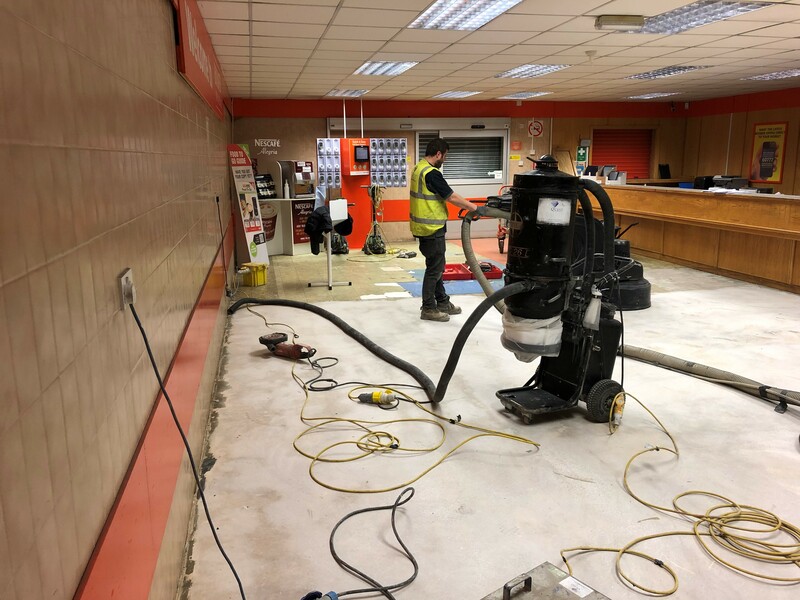 The first operation was to remove the vinyl tiles using a heavy duty 110v tile lifting machine. 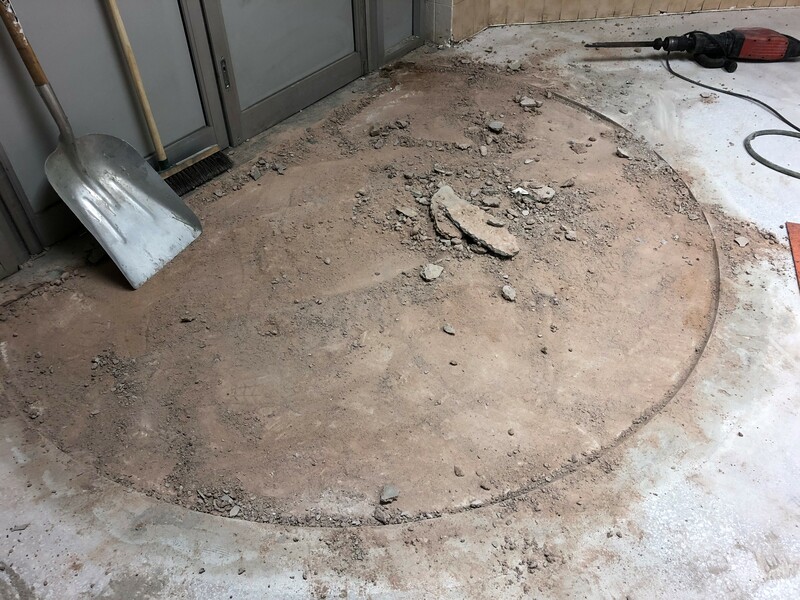 Once the vinyl was removed the exposed substrate was examined for damage. 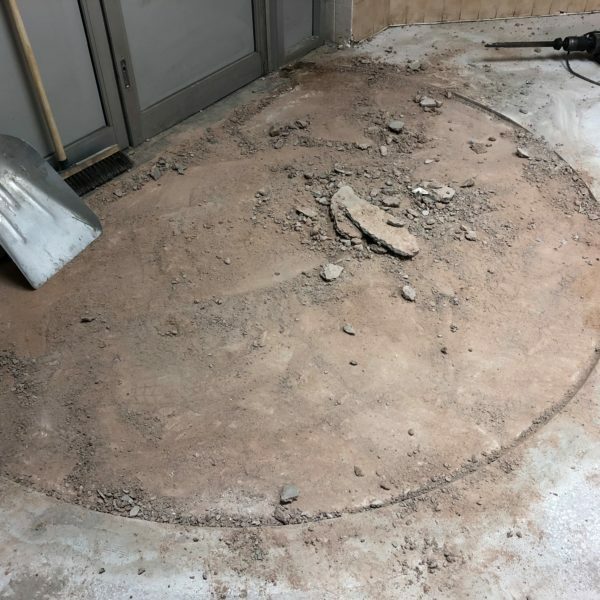 There was an area that required repairing using a Rapid Set material with added aggregate to blend in with the existing substrate. 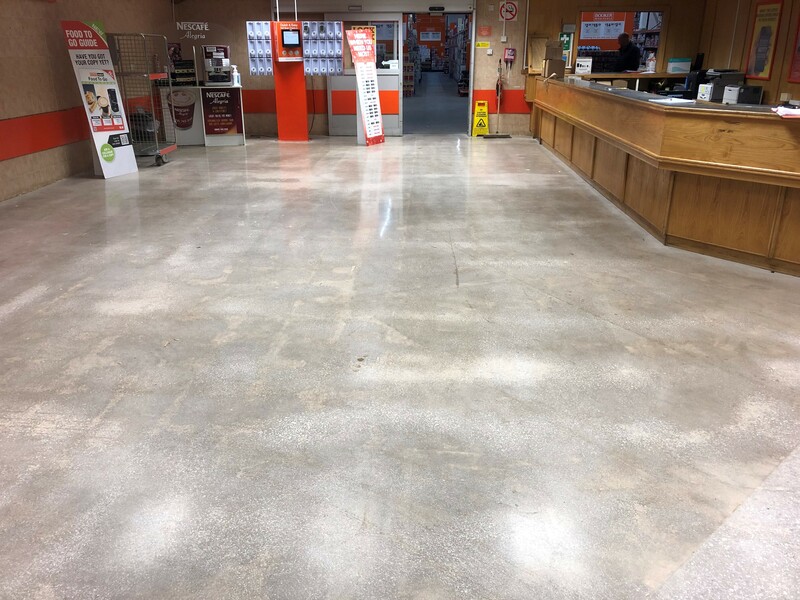 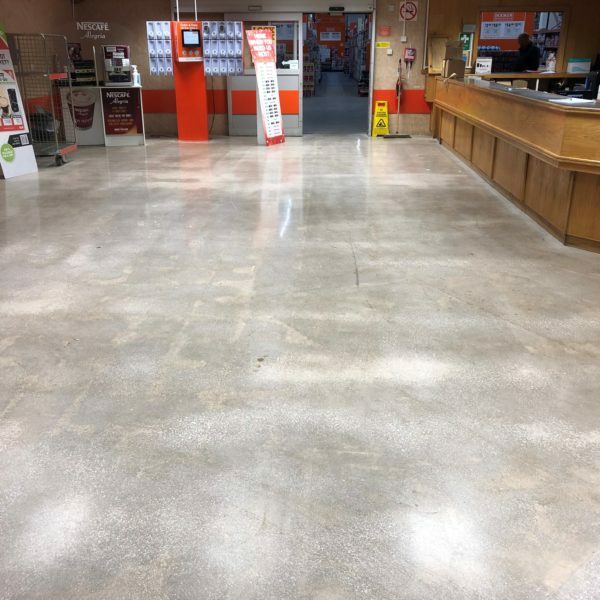 With the repair completed, the area was then ground and polished using 415v grinding machines connected to 415v HTC vacuums to allow for a dust free operation. 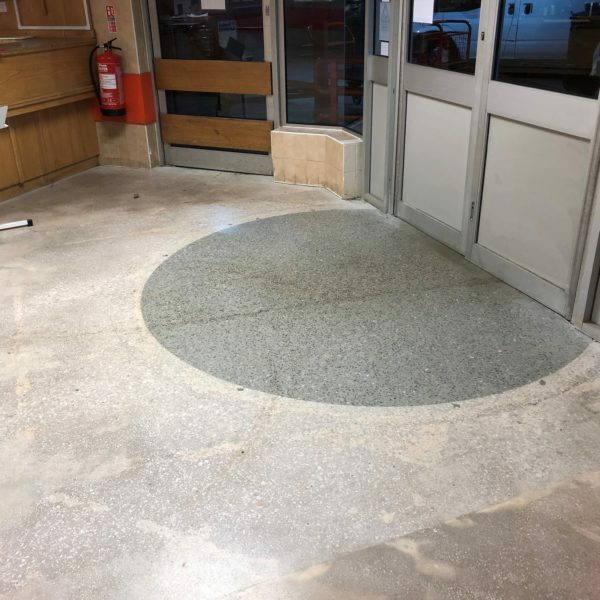 The works were completed over 3 nights to an area of 100m² all to the client’s satisfaction.